Insulsteel is an based on Clements Ferry Rd. in Charleston, SC. Insulsteel, founded in 2004, is an integrated “one stop shop” for providing architecture, design, manufacturing, building product distribution and construction for “Zero Energy Design” buildings. Insulsteel’s high-performance homes and commercial buildings are LEED certified at the Platinum level and are designed to the highest standards for indoor air quality. Insulsteel is a 2014 - 2018 Department of Energy “Zero Energy Ready Home Partner” and National “Housing Innovation Award Winner” for custom homes. In addition, Insulsteel was named in the “Top 1% of US Builders” by Department of Energy Chief Architect Sam Rashkin. 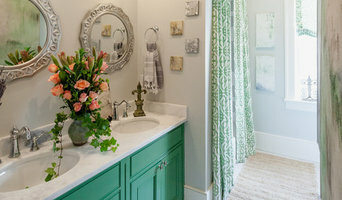 Charleston Interior designer, project management, new construction, renovation, space-planning and color consultation. With attention to every detail and your budget, our focus is to identify and bring your unique personality and style into every project. Whether you are building a new home, renovating an existing home or updating a room, our goal is to create livable spaces that simplify and beautify your life and add value for your investment. Contact us today for more information. 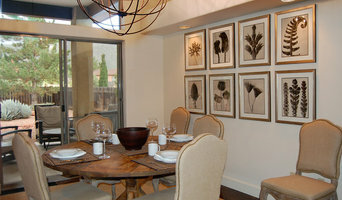 You can also visit our website at www.kmdinteriors.com. Haute Design in Charleston, South Carolina, has been involved in interior design and project management for over 20 years. Haute Design is a full service interior design firm specializing in high-end residential and commercial applications, as well as historic renovations. Our ASID trained professional designers are committed to using the best resources and respected craftsmen to compliment each individual project. Project highlights for the firm include the renovation of the Peoples Building and the KKBE Synagogue. Haute Design is currently the lead design consultant for Glick/Boehm & Associates Inc. Since the move from Columbia, SC to Charleston in 1999, Haute Design has been selected to participate in the 2001 and 2002 ASID Designer Symphony Showhouse. The goal of Haute Design is to achieve the client’s vision of the project with an emphasis on function followed by design in an innovative, yet classical style. A fully diversified staff works on all team projects. Professional service is maintained through the emphasis on a commitment to preplanning, working within a budget and management through completion. I started Avenue Interiors in 2006 and since then have been striving to help our clients enjoy the design process while transforming their homes into havens of comfort and stylish design. The surrounding natural beauty of the Lowcountry never stops giving and has helped us make a design shift toward using indigenous colors and more organic, local materials and sources. We make frequent trips to Atlanta, GA, High Point, NC, New York & France (Belgium bound in 2018!) where we visit our favorite markets, shops and dealers that help us to keep both our perspective fresh and our eye keen. By these efforts we are able to provide our clients with layers of design in which both antiques and cutting edge new design are used together creating a depth that is otherwise missing. Our design style is a timeless fusion of traditional, vintage and contemporary that doesn't answer to a strict formula. We especially like to employ interior design through a measured use of color, pattern and textiles. In addition to helping clients realize their own personal style, we always strive to create a warm and inviting space that will have strong staying power, due to well thought out plans for scale and symmetry and a layered approach to design. I have 20+ years of hands on experience acquiring, renovating and selling properties. This provides a multi-faceted perspective, not only enabling my team to design personal spaces to enjoy, but to also increase the investment potential of the property. Please contact us to set up a complimentary consultation of your residential or commercial space. Thank you for considering us! 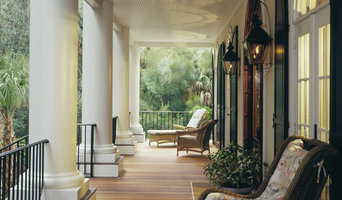 Southern Home Design is a full service design firm specializing in Residential and Commercial buildings. We provide services (House Plans & Commercial Designs) to both individuals and home builders. We have been providing designs & plans that are innovative, efficient, and beautiful for over 20 years. From preliminary sketches to construction drawings, we do it all! If you are seeking a design professional, please consider us for all your design needs. We will meet with you or your builder at your convenience. At Southern Home Design, we are committed to providing great service in a timely manner, which you deserve. We specialize in personal attention to our clients' needs. Southern Home Design offers home plan designer services ranging from small additions and remodels to custom home designs. We also provide designs for Commercial projects, as well as additions/renovations. Builders and Developers benefit from our design services (Commercial /Residential) by knowing that homes designed for them will not be sold or distributed to any other local builder. Homeowners benefit by knowing that their custom home design is truly unique. This design will meet your families' needs by not only respecting your budget but by beautifully reflecting your sense of style... a design you can call your own and have the utmost confidence in.